That might work if you were on a nail edge, but how would pull the sticker up from the center of your nail? Plus, my hand isn't nearly steady enough for that outline... Would be great if someone could figure that out! Absolutely gorgeous! I may love this even more then your first look, but it's close. Oh, I also hope you don't mind if I use these in my Share the Love post-all credit will be given back to you with a link to your blog; however, I will happily take your photo down if you wish. Definitely trying this. Great idea and such a cute design! wow.. this is amazing! i love it! These look soooo cool, I love them! I'm definitely going to have to try this. It's gorgeous! It must be fun to do it. I'll try it out. 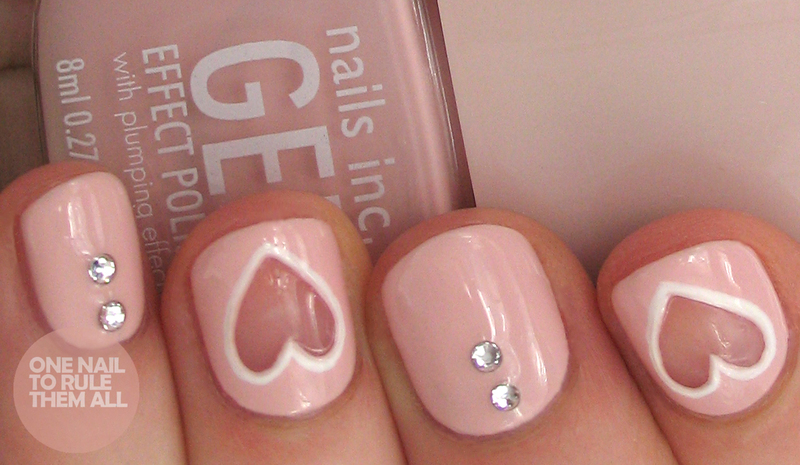 Love it, may have to attempt this look for valentines day :-) I think the negative space looks wonderful! 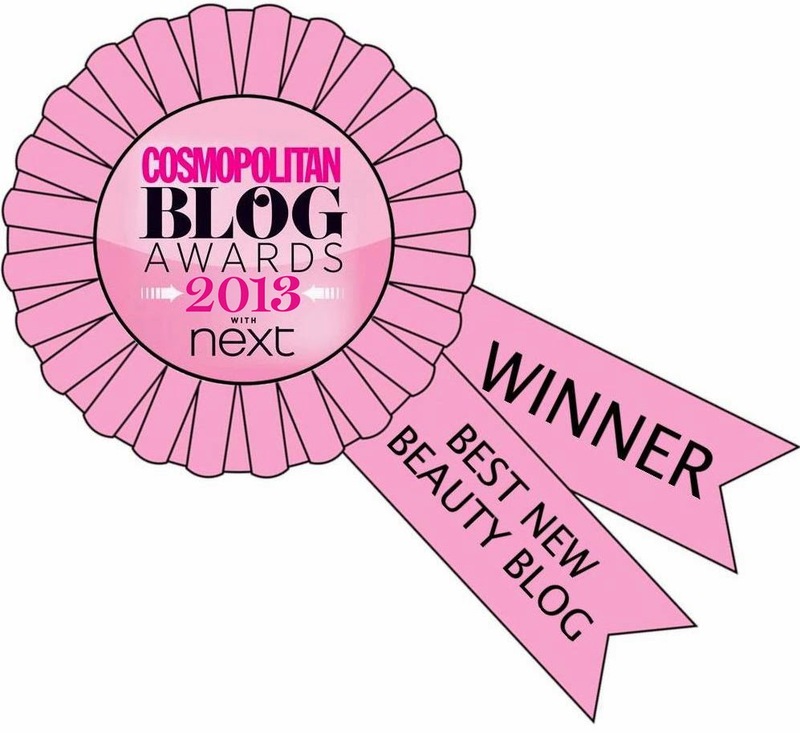 Beyond gorgeous! I fricken LOVE that Nails Inc Pink too! 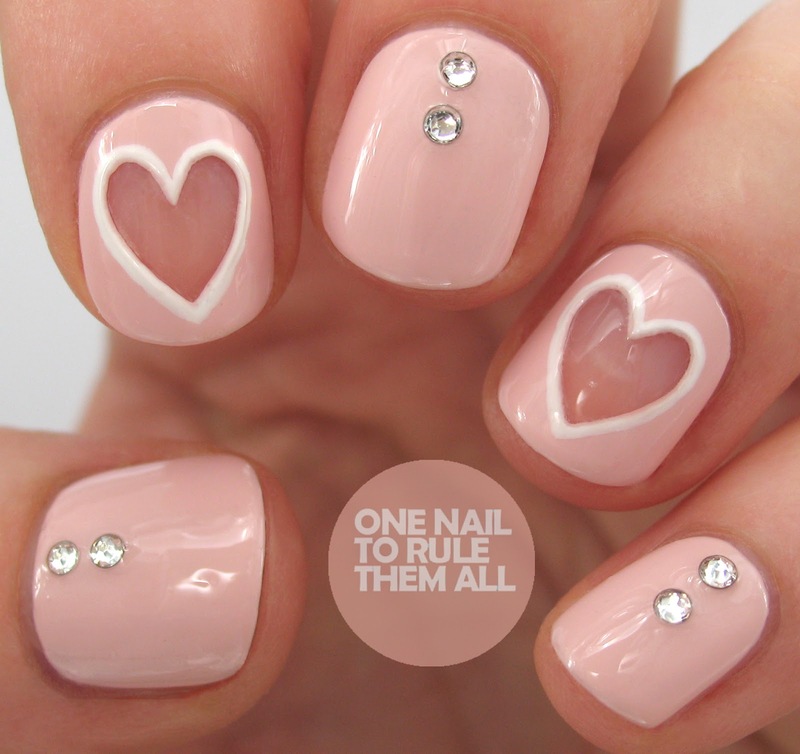 Step 2: Paint your hearts in your chosen colour using a nail art brush and white polish. So 'your chosen color' is white whether you want it to be or not, right? LOL. Cute mani. I wonder if you could achieve the negative space using those Precision Q-tips (the pointed ones) instead of a brush. I just posted a mani inspired by this design. Thanks for the wonderful idea! I love it and would love if you could check out my (less amazing) version!